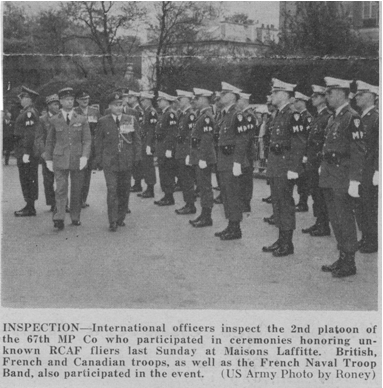 I was stationed with the Intelligence Division (duty point IT41) of SHAPE located just on the outskirts of Paris France from 26–July–1962 to 31–July–1965. Perhaps not germane to my main story line but nevertheless I will spend a little time on this because of the impact it made on the family after the relative sheltered existence of Esquimalt BC. Not only the family but also all the personal possessions that we would need for the next 3 years had to be transported from Esquimalt BC to Paris. The possessions that we couldn’t take were put in storage. It was a long bumpy plane ride for the family to travel first from Victoria to R.C.A.F. base in Kingston, Ontario and then on to No. 1 Air Division based at R.C.A.F. station in Metz France. We then had a train ride to Gare du Nord (Paris Nord) arriving just after 2 am in the morning. We were met by an old air force Ottawa friend of mine (who for the sake of discretion I will identify with a smile as ‘Pappi’) and his wife who had arranged a hotel for us in downtown Paris. The car ride into Paris from the train station was an interesting introduction to Paris! At that hour of the morning there were few cars on the road and Pappi didn’t give either the posted speed limits or the red traffic lights even the slightest notice – he barreled right through the intersections. Coming from Esquimault, B.C., the Champs Elysees was magical to my kids. Its broad sidewalk where ten or more people are able to walk comfortably, side by side, decorated with lighted trees at night, the entire vista sparkled like diamonds due to the many lights in the city illuminating places of interest. The outdoor cafes, the parks, fifteen foot wide sidewalks, the street cleaners every morning, sweeping, soaping and rinsing all of Paris, the circular men's urinals on every corner, the hustle and bustle of people all made this so novel for a family coming from a naval base on Vancouver island. The problem was that there were no vacancies in the SHAPE Village residences in Saint–Germain–en–Laye and we were on our own to find accommodations. We of course did not want to insult Pappi who thought he'd been very lucky with his hotel "find" but after the first 3 weeks we found alternative hotel accommodations literally right across the street from Versailles (Château de Versailles) where at least the children could run around in the vast gardens on a daily basis without fear of traffic, and it was much closer for me to drive to work. However at that time Algeria was trying to get its independence from France and terrorist acts were being committed on French soil. It was not uncommon when we went out for our evening stroll or lying in bed in our hotel room to hear explosions, gunfire or constant police sirens. The initials OAS (Organization d'Armée Secret) was spray painted on numerous walls around Paris and around Versailles where we went for our nightly walks. 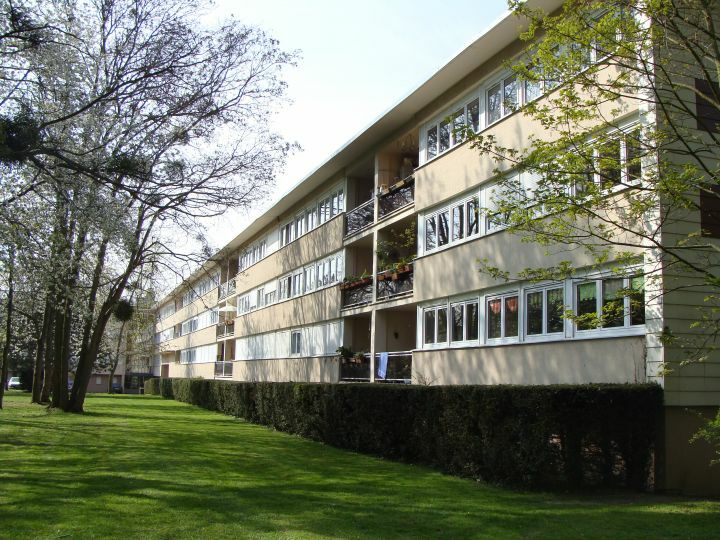 We then moved into a rental house within the St Cloud district before finally, 14 months after arrival, settling down to the SHAPE Village apartment complex (Apt 2A2D) in Saint–Germain–en–Laye. As a brief backgrounder on SHAPE I offer the following. 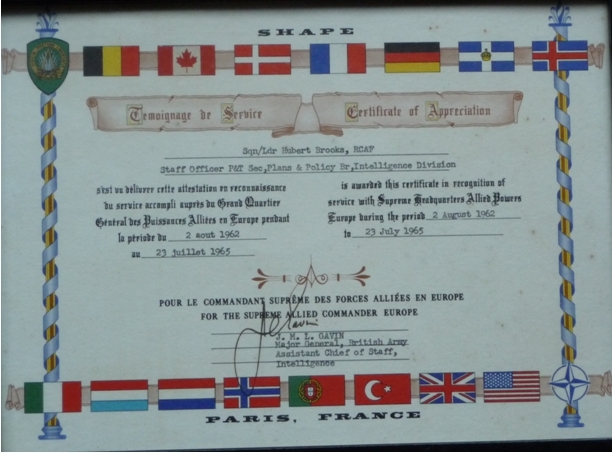 In 1951, the then–recently established NATO (North Atlantic Treaty Organization) created SHAPE (Supreme Headquarters of the Allied Powers in Europe) – a grouping of 15 countries – with the aim of ensuring peace and security in the North Atlantic region, and promising European members the support of the United States in the event of any future aggression. 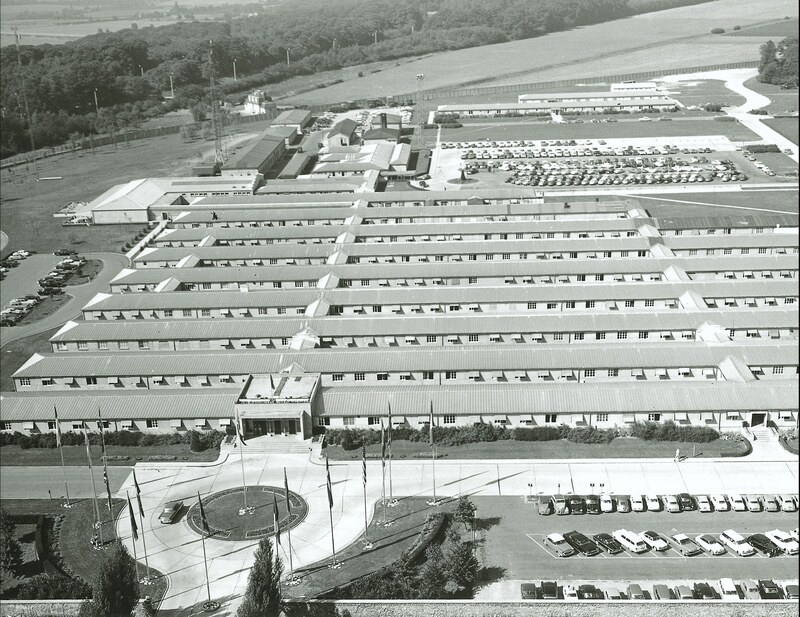 SHAPE Headquarters was situated at Rocquencourt just outside of Paris, and Saint Germain–en–Laye was chosen as the place of residence for the serving officers and their families. About 2 miles down the road from SHAPE Headquarters also in Rocquencourt was Camp Voluceau (the SHAPE Support Group). I had little to do with this, essentially US Army base, except to get my car serviced and bring the kids to the movie theatre (we seemed to use the Camp Voluceau theatre more then the one at Camp des Loges). The SHAPE Village Project was built in the grounds of the Chateau d’Hennemont to accommodate 1,500 officers and soldiers from 13 nationalities, and their families. 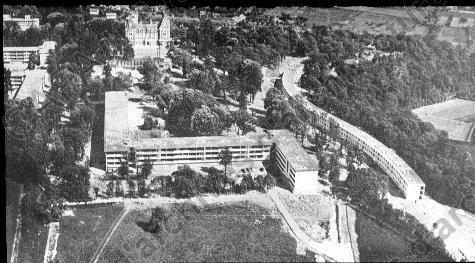 The SHAPE village school was set up in the Chateau d’Hennemont proper as well as a separately constructed building just down the road. The school could accommodate roughly 400 children. 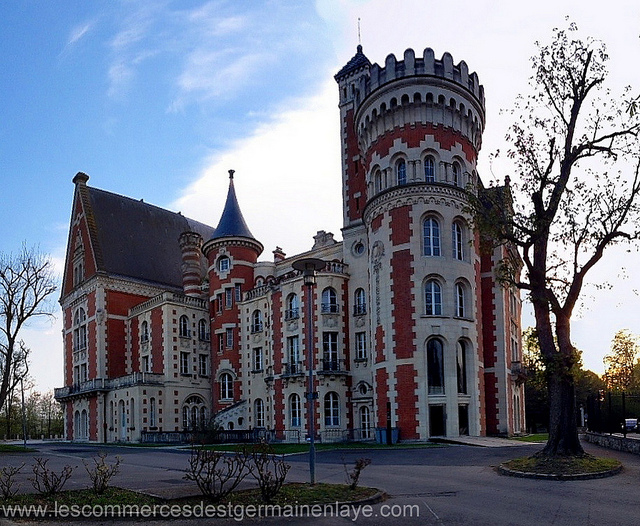 The school was associated with the Lycée International de Saint-Germain-en-Laye (translated "International high school of Saint-Germain-en-Laye") - one of the most prestigious schools in France, and was there primarily to teach international students French. The Americans typically would send their children to a dedicated US only High School in nearby Saint Cloud. SHAPE Village was great for the kids; tennis courts, football and baseball fields......lots of places to run around including some German built WWII tunnels and bunkers to explore. The American military base Camp De Loges (CDL) (EUCOM HQ) was located in Saint Germain–en–Laye and provided a commissary, news stand, bowling and movie theatre and organized baseball matches that my son regularly attended. SHAPE, run I believe by US Army 1st Transportation Company out of CDL, funded a regular bus to downtown Paris. (stopping at Arc de Triomphe - actually the bus route was a shuttle bus run from CDL making hourly scheduled runs from CDL to the Etoile in Paris. It would carry French workers, dependants and G.I. 's, and SHAPE Village Residents back and forth from Paris with stops at metros, Bel Manoir, SHAPE and SHAPE Village housing areas in between) It was a short walk down the Champs–Élysées where for example we would go for our dental work (staffed by US military "Seine Medical Service Area" personnel) at the American mini facility and PX annex (United States Army Finance and Accounting Office - Paris) at 32 Rue Marbeuf. Bus rides were also provided to the US bases Camp Voluceau and Camp des Loges for weekend movie nights. Almost every week we went to the Bel Manoir US Army PX complex (shopping, restaurant, newsstand etc.) just south of SHAPE HQ and not too far from Camp Voluceau. I can not stress the importance to my young children of "American food" and books and comics from the US base commissaries and news stands! The Bel Manoir department store was far more than could be expected -- carrying the best of the best in items from all over Europe, cashmere from Pringles of Scotland, woolens from Ireland, Italian leather goods, American loafers and so on. Trivial memories - at the news stand they would stamp your magazine/ book purchase with a blue star to show you paid for them. We always though the assignment of French car license automobile plates for the American and Canadian privately owned autos. The plates assigned to the American forces started with the prefix CF and the plates assigned to Canadian military started with the prefix of AF! OVERVIEW OF JOB AT S.H.A.P.E. 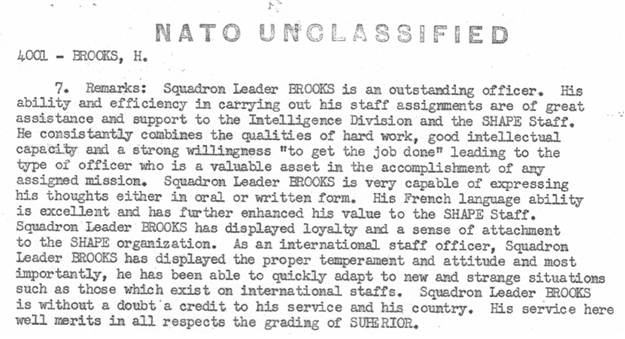 Served as Intelligence Division representative in SHAPE for all matters relating to regional and NATO–wide exercises. For this job I had to carry out liaison/coordination within the SHAPE staff and also with NATO commands on those matters concerning intelligence inputs to the exercise scenarios. Served as a member of the Central Planning Team for the NATO–wide exercise FALLEX 66. I was responsible for reviewing the overall scenario for the exercise from the intelligence point of view. My direct boss during most of my tour was Captain Cantlon of the US Navy and for the last year Commander Everhart also of the US Navy. I got along very well with both of these fine officers. I was very pleased and proud that my performance reviews were always the highest SUPERIOR ranking and complimentary comments were made. From time to time the Canadian military would have me represent Canada at some commemorative function or the other. From October 1962 until I left Paris in July 1965 I continued to insure I kept my flying hours. We flew out of Paris Orly airport heading for Naples, Hamburg, Nice, Copenhagen, Strasburg, Bonn, Istanbul, Prestwick, Pisa, Rome etc etc. We flew almost exclusively in a C–47. I met what were to become close family friends on these flights with Canadian Air Force pilots: W/C Neil Christie and S/L Glen Parslow. 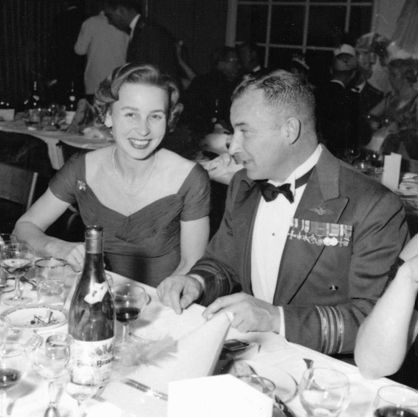 There was numerous military–related dinners that Bea and I went out to. 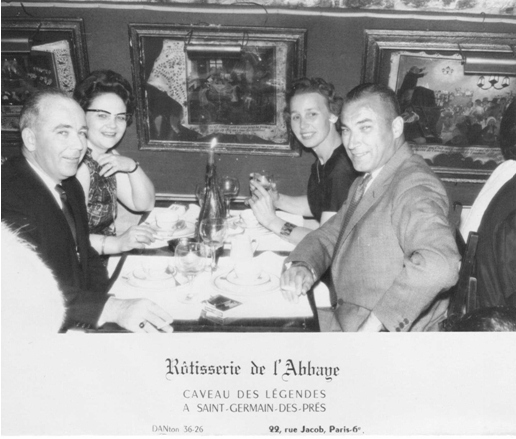 We had enjoyed many an evening out in Paris with close friends. Time was up. 31–July 1965 was approaching fast and my next posting was due. As a family we had certainly taken advantage of our posting in Europe travelling every summer to a different country or countries. For the last 2 years my son Ralf had attended Villa St. Jean boarding school in Fribourg Switzerland. Bea had travelled several times back to her birth country of Denmark to visit relatives and friends. But we were set to go home to Canada! 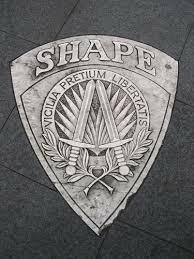 As my tour at SHAPE was winding down, I received notification that my next posting was to be at a R.C.A.F. Station back in B.C.. 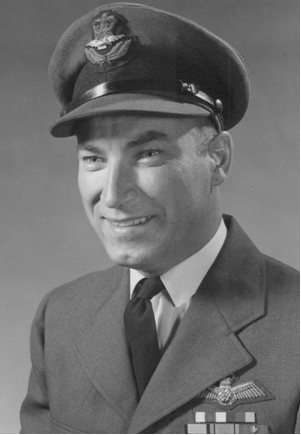 However literally at the last minute, about 3 weeks prior to departure from Paris, orders were changed and the Air Force decided that they needed me in Moisie, Quebec. The Air Force was having some difficulties at the base and had decided that they needed a fluently bilingual officer in charge at Moisie. Rightly or wrongly the Air Force had earmarked me as their first fluently bilingual officer. These were the days when the separatist movement was gaining traction and the Sept Iles region was a hotbed for separatists. There was even some guarded talk about some of the junior officers on the base having meeting to discuss what they would do if Quebec ever separated from Canada. My job was not only base management but also to engage and positively portray the Canadian Air Force within the community. So we left for R.C.A.F. Radar Station in Moisie Quebec. France quit the NATO alliance in March 1966 and ordered the organization to close its SHAPE headquarters in France, with the then–president Charles de Gaulle saying Paris did not want to be dragged into a war that was not of its own choosing. The decision, taken at the height of the east–west Cold War, was the culmination of years of Franco–American rivalry over control of the alliance and of nuclear weapons and what De Gaulle saw as U.S. hegemony in Europe. "needed to recover the full exercise of her sovereignty across her entire territory." He shut down NATO’s headquarters in Paris and expelled American military bases from France(as well as Canadian and British bases as well). His basic tenets were that France should not have to rely on any foreign country for its survival (thus the creation of the French nuclear deterrent) and that France should refuse subservience to any foreign power, be it the United States or the Soviet Union. NATO subsequently moved its headquarters to Brussels where it has since been located.